Is win 7 defender 2013 a virus? Help removing Win 7 Defender 2013 firewall alert virus from my computer?!!! It is really a nightmare that blocked my access to the internet! What i got on the screen is a warning message. Current PC state: Scanning…; Activate your copy right now and get full real-time protection with Win 7 Defender 2013! Removal step by step is fine, but I can’t believe it disabled my task manager and registry editor, what to do? Win 7 Defender 2013 Description. Win 7 Defender 2013 has blocked a program from accessing the internet? Among the most common viruses that form the rogue family of FakeRean is the Win 7 Defender 2013 firewall alert virus. The virus presents itself as an antivirus that will aid computer users in eliminating viruses such as Trojans. Trojan viruses are known to infiltrate a computer machine and its programs without the consent of the user and usually when there is a fault in security. Furthermore, the Windows 7 Defender 2013 virus can also get into the system while browsing in the internet. As soon as the virus installs itself on a computer, it registers itself as part of the Windows registry which enables it to run anytime an application is started. It is a different from the ICE virus, it just pretends to be real anti-virus program not police, and it won’t cause White Screen on the monitor. Since Win 7 Defender 2013 virus runs automatically, it is able to block the running of programs which include antispyware as well as antivirus applications that are legitimate. One of the victims said: I have noticed when I go to a website that a blank screen shows up with many different letters then it switches to the website.It seems that it is a malware that then triggers some action. When it starts running, Windows 7 Defender 2013 virus immediately performs a scan of the system and detects numerous infections. 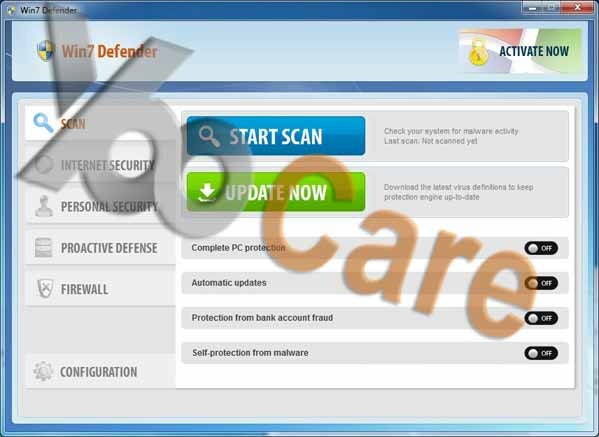 The scan will result in the sending of messages and alerts to the computer user to persuade them to purchase Win 7 Defender 2013 Reg key to get its full version so that the infections can be eliminated. How Did You Contract With Windows 7 Defender 2013 firewall alert virus? The alerts that on false infections, false security alerts as well as the blocking of Windows applications that hinder proper working of the computer system are designed to frustrate an individual into buying the program. Some of the security alerts and infections that the Win 7 Defender 2013 virus is likely to display on the computer screens include danger in the system or the detection of threats to privacy. Also, the alerts may include suggestions of the need to perform a scan as well as removal of Trojans or spyware by clicking on the message. Furthermore, internet browsing sites can also be taken over by the Windows 7 Defender 2013 virus which results in the display of a message indicating that the site being visited poses security threats to the computer system. How to remove Win 7 Defender 2013 firewall alert Manually? To be able to prevent Win7 Defender 2013 virus from infecting a computer system it is important to make sure that security is always updated and is genuine as well. It seems most of the legitimate antivirus programs are able to prevent the infection of a computer system from Win 7 Defender 2013 firewall alert virus but if they are not regularly updated then they leave the computer vulnerable to such viruses. Furthermore, this harmful virus can also be prevented by monitoring the websites that a user visits on a regular basis. There are web pages that contain malicious viruses such as Win7 Defender 2013 virus that will promptly infect a computer system and hinder its normal functions, so manual removal of Windows 7 Defender 2013 virus is recommended. 2. Press Ctrl+Alt+Del keys together and stop Win 7 Defender 2013 virus process in the Windows Task Manager. If you have tried the guides above step by step in correct way, then you can clean out the threat from your computer. And you should take a quick time to do it as the virus changes fast. The fake windows 7 defender firewall alert window automatically opens when some action needs to be taken at either the yellow or red levels. Don’t be fooled by the scam later. To make it easy for you to understand your system’s status, the the Antivirus is color coded via a bar at the top of the window and an icon on the Home tab. But the best remedy against the Win 7 Defender 2013 virus is to uninstall it from the system so that the computer can be able to function effectively. 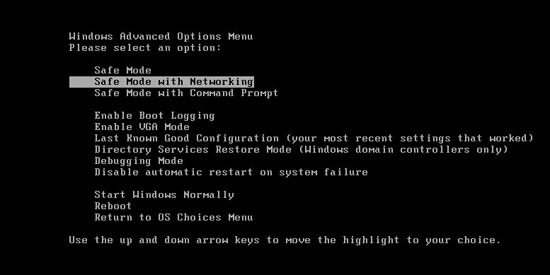 There are a number of ways to do so with some of the suggestions being to run the system on safe mode while attempting to remove the virus or even seeking help from trained IT professionals. 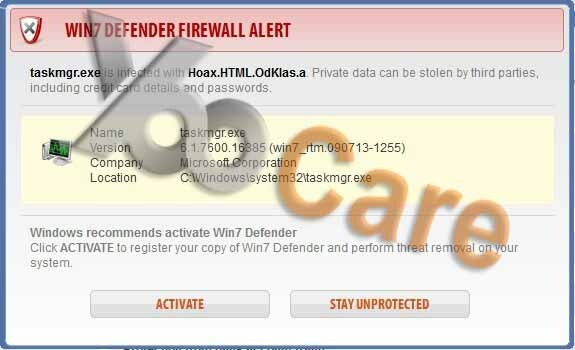 Note: If you are not computer savvy and don’t know how to remove Win 7 Defender 2013 firewall alert virus, to save your computer in time, please contact YooCare PC experts 24/7 online to completely and safely sort it out.